Q: What has been the biggest spiritual challenge you have faced in your life? A: The biggest challenge of my life hasn't really been a spiritual one, although it has been part of my spiritual quest. I always found spirituality, the disciplines of meditation and silence, very simple. My challenge was between activity and stillness. I always got off on the adrenaline trip of being active. That's why I've traveled around so much. In a way it was good, because I collected all the human experiences available to me. But some times, in a lot of activity, one is not really facing oneself. Activity is sometimes a way of masking the insecurities that lie deep inside, masking your consolidated sense of self, because you're always presenting yourself in a cloud of dust as your chariot screeches to a stop. So my biggest spiritual challenge has been to give up going on the road as a metaphysical teacher, being in city after city -- and forcing myself to quietly go within. It's a long way from the razzmatazz and the income of traveling and teaching. I must say the first few months of it were quite tough, but afterwards I actually liked the silence a lot better than the razzmatazz. Q: Which of your spiritual achievements are you most proud of? A: What I have done is take complex ideas and explain them simply. I've been able to get spiritual, metaphysical information across to people without a lot of elitism and waffle. I feel that has been a good thing. The other thing I've been able to do in my seminars, especially many of the more complex ones, like Warriors in the Mist, was show people the existence of the etheric dimension. I took ordinary people with no particular training and showed them how to maneuver the etheric. I think that is an achievement, because I don't believe there are many teachers who know how to do that and are prepared to stick their neck out in that way. Excerpted with permission from the book "Simply Wilde"
by Stuart Wilde and Leon Nacson. A question-and-answer format provides insight into Wilde's views on life, relationships, money, politics, spirituality, and the universe. 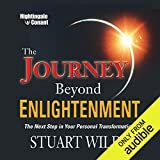 Stuart Wilde was an entrepreneur, author and lecturer and one of the real characters of the self-help, human potential movement. His style is humorous, controversial, poignant, and transformational. He wrote several books including "Miracles", "The Force", "Affirmations", and "The Quickening". He is the creator of the successful "Warrior's Wisdom" seminars. Visit his website at www.StuartWilde.com. Stuart died of a heart attack on May 1, 2013.